If you’re looking for a new ride, and you value fuel economy, versatility, and exceptional performance, then you need to read through this 2018 Toyota RAV4 Hybrid review. This article touches on a range of important features so every driver near Avon, Indianapolis, and Plainfield understands what they’re getting with this delightful model. Check out this detailed review and breakdown of what you can expect from the new Rav4 Hybrid, and learn where you can go to get behind the wheel to try one out yourself. 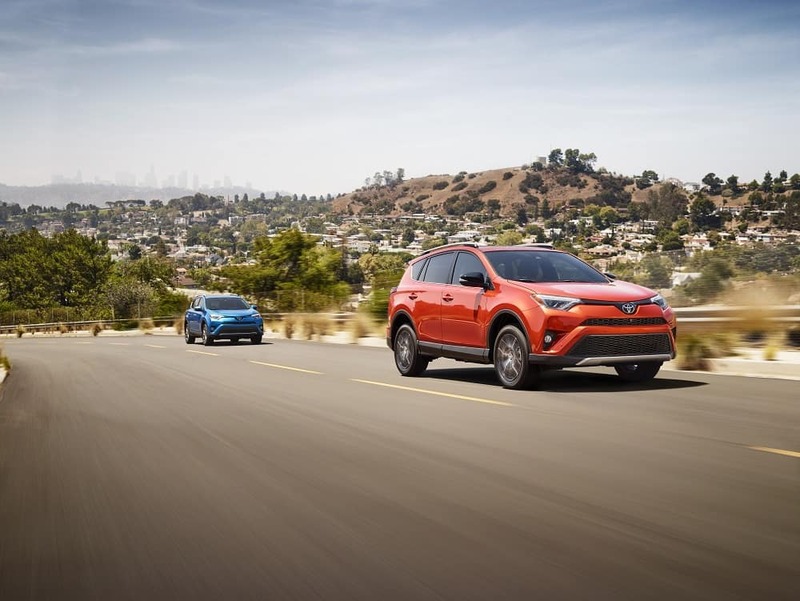 As we begin to take a peek under the hood of the RAV4, you’ll notice this hybrid SUV pairs high-level acceleration with some phenomenal efficiency. You’ll also be able to easily maneuver through rugged terrain thanks to the electronic All-Wheel Drive system that comes standard with the Rav4 Hybrid Limited and XLE. 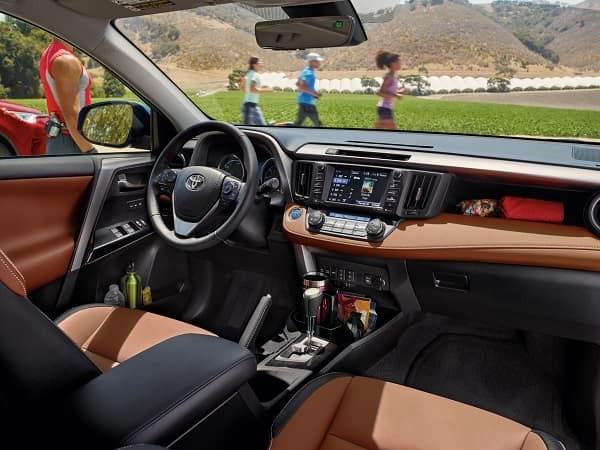 The Toyota RAV4 Hybrid helps drivers stay connected with the outside world, as well as offering premium entertainment features to create a more immersive experience. The available Entune™ Premium Audio system with Navigation and App Suite is a comprehensive set up that makes it easy to access features such as navigation, music, or apps, on a high-resolution touchscreen. You can also use your voice to make calls thanks to the hands-free phone capability feature. The Smart Key System is another big plus with this model. You can remotely lock or unlock your doors thanks to this addition, while also using the remote power liftgate function to pop open your trunk even if your hands are full. Safety is a high-priority for every Toyota model, and the 2018 RAV4 hybrid is no exception. For starters, the advanced Pre-Collision System with Pedestrian Detection is a valuable feature for drivers of any age. This system will warn you if a front-facing collision seems likely. If you fail to respond quickly enough, this system will actually assist in decelerating your RAV4. You’ll also benefit from Toyota’s Lane Departure Alert with Steering Assist functionality. If you start veering out of your own lane without first putting your turn signals on, this system will give you an audible and visual alert. If you don’t respond appropriately, the steering wheel will subtly guide your SUV back into the correct lane. The 2018 Toyota Rav4 hybrid is an outstanding, safe, and fun to drive crossover SUV. Of course, the best way to get a feel for this model is to schedule a test drive near Avon, Indianapolis, or Plainfield. You can do this by contacting our friendly team at Andy Mohr Toyota today!